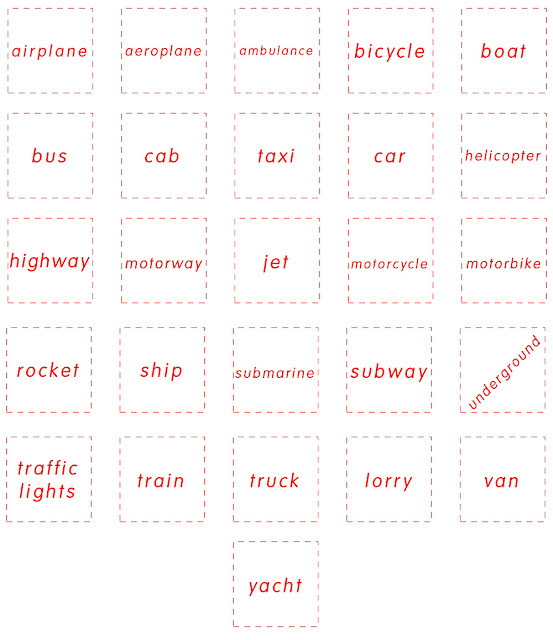 Bingo is a game I often use along with dominoes for my English classes. 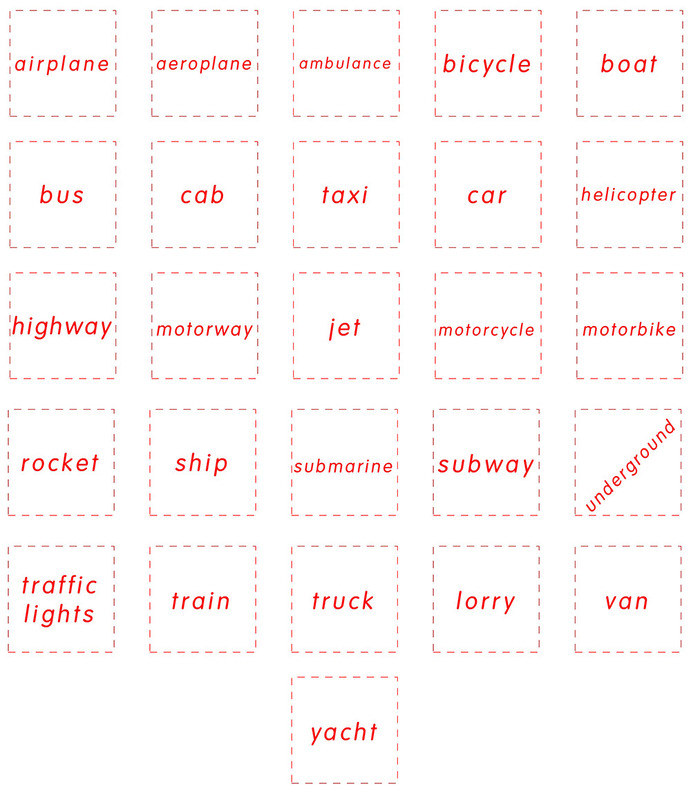 The activity helps consolidate the vocabulary at the final stage of a topic. 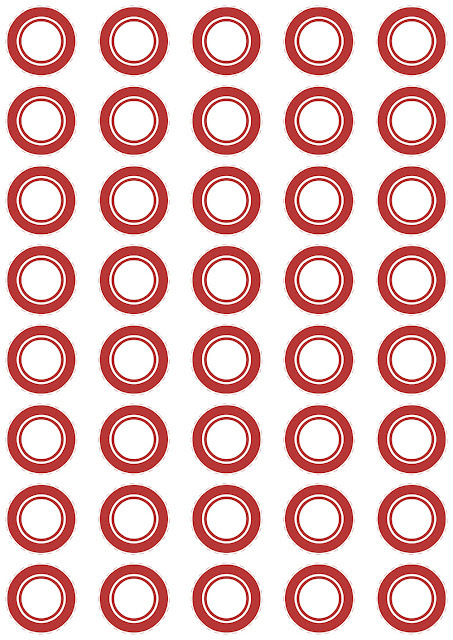 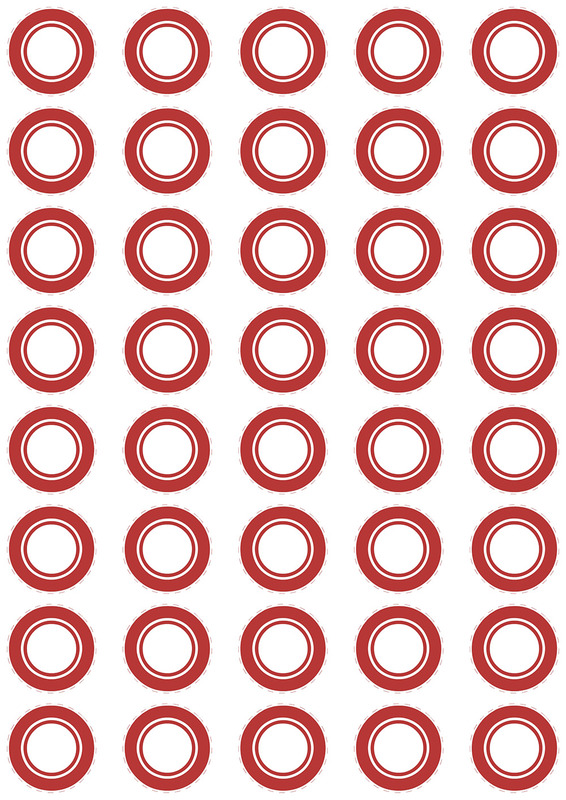 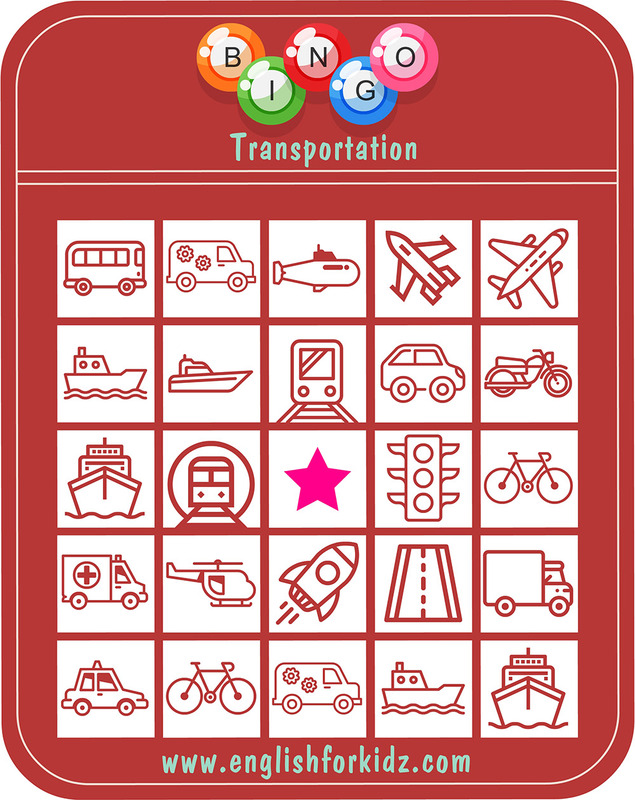 Today I’m publishing some of my printable transportation bingo cards. 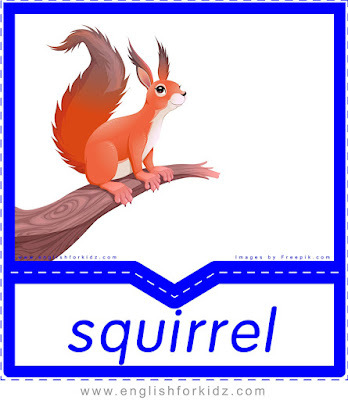 The rules are simple: the teacher draws the vocabulary cards from a bag or box to announce the words. 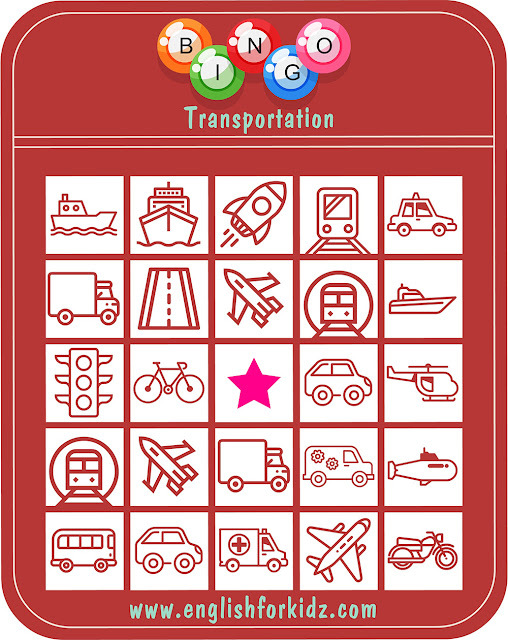 Students have to cover the corresponding images on their transportation bingo cards with chips. 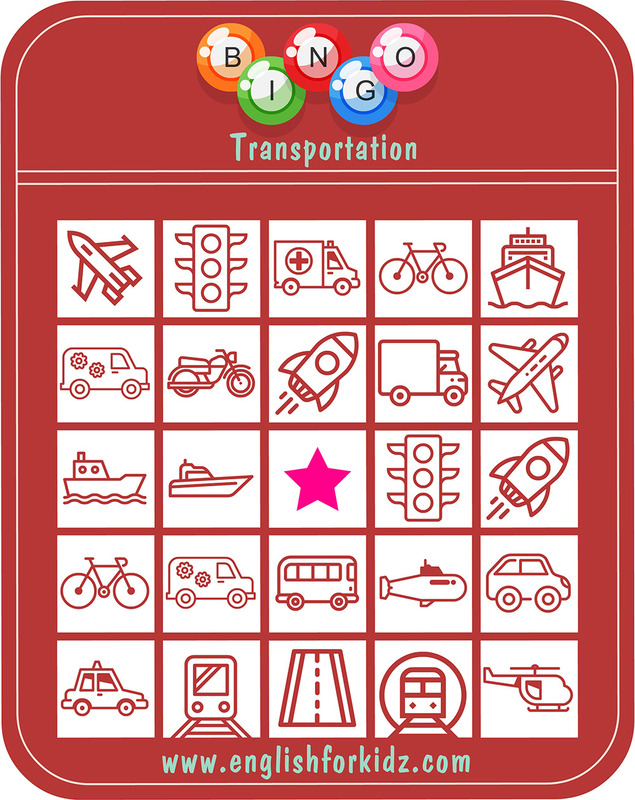 The winners are those who are the first to cover a horizontal line, a vertical line or all the available pictures on a bingo card depending on the rules you decide to follow. This post contains only five bingo cards. 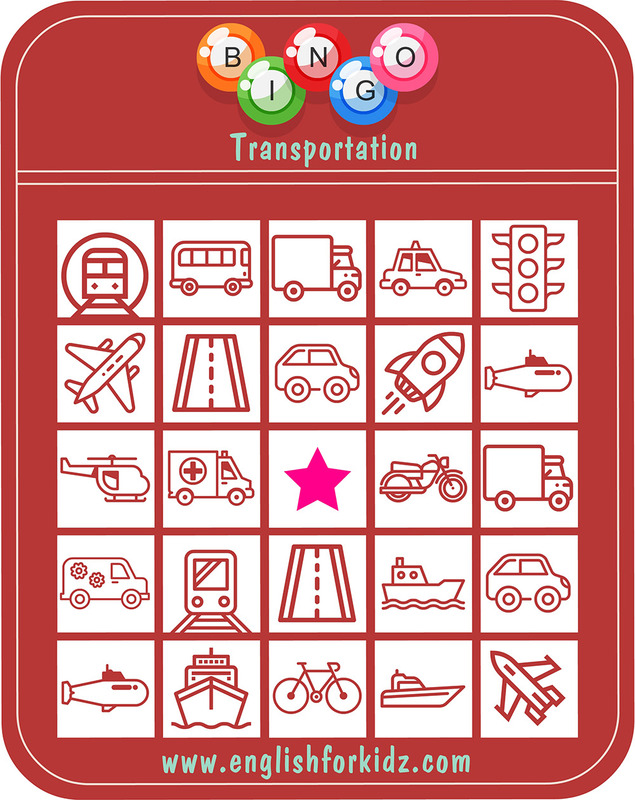 The transportation kit that ESL teachers are welcome to buy has 15 bingo cards to be used for larger groups of students. 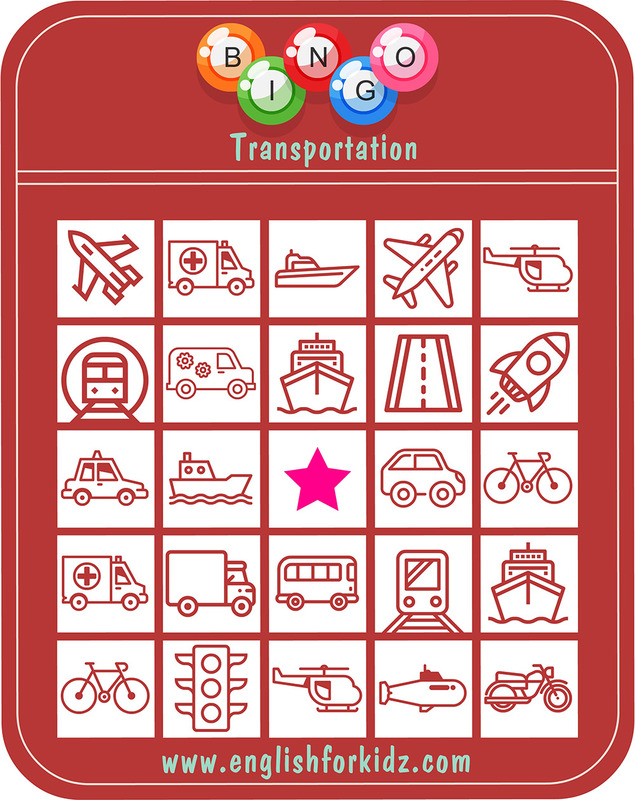 I hope my fellow English teachers and their students will enjoy playing the transportation bingo with my cards.